Fashion Designer, Maria B graduated from Pakistan School of Fashion Design and launched her label ‘Maria B’ in Lahore back in March 1999. During her four years at the Fashion School, Maria learnt to make patterns, drape and stitching by hand. Fashion designer, Maria Belal, known as Maria B, has rocked the catwalks with her hip and glamorous designs, not only in Pakistan but also in Paris, Milan and New York. Her label is known for its cotton shalwar Kameez and embroidered evening wear, all meticulously cut and stitched into chic and modern styles. Very hardworking and ambitious, Maria B had a dream to make Pakistan’s name in the international fashion scene and she truly achieved that. She definitely gets the credit to show Pakistani heritage to the people around the world. Her main goal is to export her outfits abroad, which is quite a challenging task but this extremely talented designer is doing well for her brand is getting well known recognition in Paris, Milan and New York. Bridal collection 2010 by Maria B.
Mahin Hussain graduated from Indus Valley School of Art and Architecture in 2002 and a major in Print Design. After 4 years of working professionally & producing handbags for various retail stores, she honed her art and technical know-how through the fashion accessories program at the London College of Fashion, which left an everlasting impression on her designs and aesthetics sense. Specialized in leather handbags, Mahin Hussain label works on its motto that is design simplicity, bold colors and modern outlook.The label is built on desire for creativity and beautifully crafted handbags along with the passion to make accessories speak out loudly, creates an almost eloquent brand language, which allows people to express their own personality in a myriad of ways.Mahin Hussain gets her inspiration from our own history and heritage and then adds a magic touch of contemporary fashion to create freaking awesome style-loaded accessories including handbags, scarves and creative jewelry.“I believe in staying true to traditional motifs & techniques, while re-creating them into more modern compositions.” says Mahin.Her passions are reflected in her vibrantly bold color combinations that never fail to catch our fancy. Her ultra stylish designs seems like walkabouts from the ancient Pakistani history towards modern fashion while exploring innumerable traditions and colors that are hidden in our heritage. After gaining popularity in Karachi, Lahore and Islamabad, she has embarked on a journey to prove herself in International arena. She opened a store in Dubai recently and currently working on entering the market filled with wildly passionate fashionistas London. One of the emerging and talented Fashion designers is the Fashion designer Mahid Khawer, who is also trying to give his best to the Pakistani Fashion industry. Fashion designer Mahid Khawer loves to give his dresses the true traditional look with a variety of beautiful & attractive colors. In fact, Fashion designer Mahid Khawer knows the art of blending & contrasting different soft and bright colors in a very striking and elegant way. Pakistani Fashion industry is in the position to compete with any other Fashion industry of the world now, just because of the number of hardworking & shining stars working in it; In order to make it more successful. These people comprise of Fashion designers, those who actually create style, the Stylists, the people having magical art of enhancing beauty, Fashion Photographers, those who capture the beauty, and the Fashion representatives, the Fashion models. These people are responsible for taking the Pakistani Fashion industry towards the pathway of success, as they have established their name with the name of the country, in the international Fashion market. One of the highly admired categories of Fashion runners is the category of Fashion designers. Fashion designers are the people who actually create & produce some Fashion concept; which later becomes the Fashion statement of the country as well. One of the emerging and talented Fashion designers is the Fashion designer Mahid Khawer, who is also trying to give his best to the Pakistani Fashion industry. Fashion designer Mahid Khawer is a graduate of National College of Arts (NCA); he studied textile designing form there and has learned the art of Photography as well. Fashion designer Mahid Khawer completed his education in 2005, and he started practice in the same year; since then he is working tremendously in the field of Fashion designing. Fashion designer Mahid Khawer is now successfully running his Boutique in the heart of Pakistan, Lahore, opposite to the MM. Alam road. Fashion designer Mahid Khawer designs only for the ladies, some of his specialties include formal and Bridal wear. Fashion designer Mahid Khawer loves to give his dresses the true traditional look with a variety of beautiful & attractive colors. In fact, Fashion designer Mahid Khawer knows the art of blending & contrasting different soft and bright colors in a very striking and elegant way. The most remarkable work of the Fashion designer Mahid Khawer is the Bridal Prêt collection. No doubt, the eye-catchy designs of the Fashion designer Mahid Khawer are adding more colors and variety in the Pakistani Fashion Industry. Fashion designer Mahid Khawer is making good name not only in the Pakistani Style and Fashion Industry but also he is selling his outfits in some other countries as well; like the USA and the Cohoes State, New York. This means that the Fashion designer Mahid Khawer is gaining importance at the international level too. 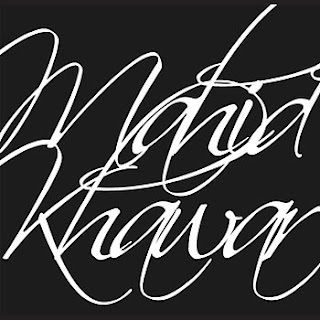 Fashion designer Mahid Khawer has established his brand name by his name 'Mahid Khawer'. 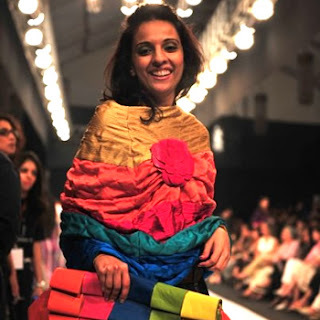 Fashion designer, Maheen Khan gets inspired by anything that catches her fancy. The Pret collection she showcased in Milan Fashion Week was inspired from Khyber region and its arts and crafts that was beautifully embedded on the outfits was liked very much by the Italians, and they called her “the Coco Chanel of the East”. The collection displayed in the Pakistan Fashion Week was based on the old Alfred Hitchcock movie “Murder on the Orient Express”. In this way little things inspires and catches her fancy and she makes them alive on her dresses. Recently, Maheen Khan also launched her new collection ‘Gulabo’ in Karachi that is completely inspired by truck art of Pakistan. Maheen has won many awards namely Lux Style Awards, Style Icon award. 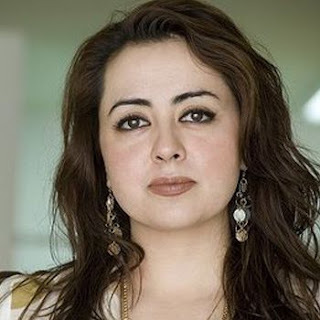 Recently she was also awarded ‘Benazir Women Excellence Award’ for Best Women Wear Designer. Maheen Karim is a ready to wear label that is Pakistan’s first to specialise in women’s western eveningwear. It focuses on the creation of eclectic luxury garments with the aide of novel cuts and a silhouette with universal charm. Maheen Karim is a graduate of the prestigious Central Saint Martins College of Art and Design. After working with globally acclaimed fashion houses in the west Maheen returned to Pakistan to start her own label in spring 2006. 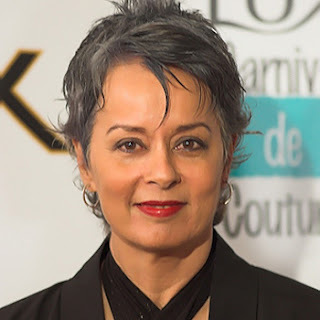 She was recently awarded the prestigious Lux Style Award 2008 for achievement as best Prêt-a-Porter designer in Pakistan. Whilst still in its infancy this label has already seen immense success and soaring sales in prominent boutiques all over Pakistan as well as UAE. Maheen aims to use the spectacular raw materials and craftsmanship obtainable to her in Pakistan to its fullest promise in order to create garments of global appeal. The passion to create trendy silhouettes and experiment with shape allows her to furnish the woman of 21st century Pakistan and abroad with a sanctuary where she is able find glamour and glitz in a garment without feeling the need to travel overseas in search of grandeur. Her Spring Summer 2009 collection is an amalgamation of fun spirited holiday eveningwear and luxury occasion wear for the upcoming celebratory season. The new season brings out a host of ravishing new trends and colour palettes. Here we see a munificent use of vibrant inks and glitzy golds at the same time as maintaining the innocence and chastity of ivory and pure white. These exquisite pieces not only stand out because of the form they take but they are also galvanized in an immaculate elegance with the use of remarkably unusual methods of embellishment. Swarovki crystals embroidered into a tuxedo top dress shirt or even a tailcoat, hence adorning the chic elegance in the woman of today and styling her dapper. 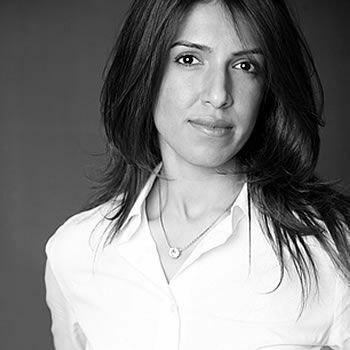 Mariam Qureshi gained expertise in women’s wear from the London College of Fashion in 2003 and graduated from Chelsea College of Arts and Design with major in weaving. Zara Chaudhary studied fashion marketing and upcoming trends for a year in Fordham University, New York. Fashion designers Mariam Qureshi and Zara Chaudhri are two creative designers behind Luckhu and together they create wonders with their jazzy fashion sense. Both the designers when combine their skills and aesthetics comes up with heart-hitting pieces of fashion that never fail to attract modern women. 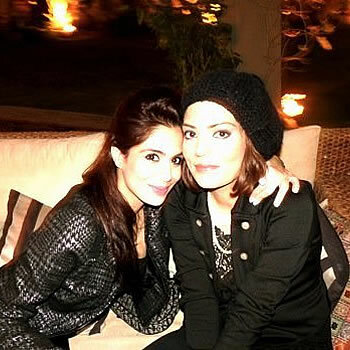 Mariam Qureshi and Zara Chaudhri are adept at using typical colors and motifs to recreate a style of glamour with ease. They also showcased their mesmerizingly feminine collections at Karachi Fashion Week and Pakistan Fashion Week 2010.